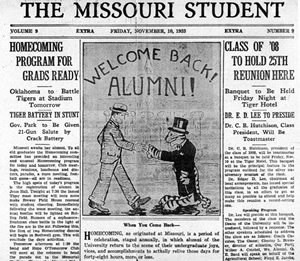 So the story goes…It all began at the Mizzou campus in Columbia, Missouri during the year 1911, that the first annual homecoming was held. Homecoming was meant to welcome home the alumni and unite the new students so they could create a stronger sense of school pride. They held a dance, shared a feast and had an annual football game. By the 1920's homecoming had become a new American tradition! In 2014 College Place High School held their first ever homecoming! The theme was "Written in the Stars". It was just a Freshman class that year, and the students were still taking classes in the old Sager Middle School gym building. There was about 100 students in our whole high school. In 2015 we added Sophomores and our homecoming theme was "A Night of Mystery." This dance helped us build unity with the new Freshman and helped them feel more welcome. This year, as we added Juniors, we will finally have royalty voting! Our theme is "City Lights". Since our school has gotten much bigger than our 100 Freshman in 2014, it's a lot harder to know who all the Freshman and new students are so the homecoming dance will be a great time to bring our school together and make us more of a family! As we add Seniors next year, the first ever class of College Place High School will be celebrating its last homecoming. The Seniors next year will finally understand the meaning of Homecoming as we play our last high school football games, walk these halls for the last time, say goodbye to the classmates we grew up with and appreciate the teachers who helped and nurtured us along the way. So yes, the class of 2018 will celebrate one more homecoming as students but then the true meaning of the term “homecoming” will come into fruition as we will come back year after year to remember where we came from and celebrate where we are headed. So all in all, as a proud College Place Hawk since the school’s inception, I conclude that Homecoming is more than a game or a dance; it's a way to show appreciation for our school and rekindle the family spirit we had that first year.